The Internet makes many great things possible. Saving files to the cloud, or streaming music from services like Spotify wouldn't be possible without it. But let's take a moment to celebrate a site that harnesses the power of the web to do something so completely silly that it's almost beautiful. Nah, who am I kidding? It is beautiful. 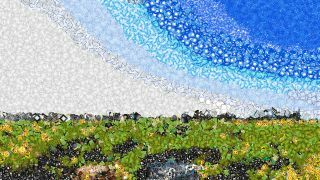 Eric Andrew Lewis' Emoji Mosaic tool takes any photo you upload and converts it into, you guessed it, a mosaic made up entirely of emoji. All of those little symbols you use to convey words and feelings can now actually paint a pretty picture. Of course, we made a few to get you inspired to try it yourself.